The WNBA hosts a Youtube Page which posts highlights from mostly every game. The page is also filled with featured ad’s like the new WNBA Super20 ad, or personal interviews with players. The page shares videos of ceremonies like the jersey retirement of for Seattle Storm legend Lauren Jackson or fun videos like WNBA Best Blocks Pre-Olympic Break. They also did a great job with documenting the U.S. Women’s National Team recent gold medal Journey. The page is definitely worth a follow and if you don’t have time to head over to Youtube to check out all of their videos here are some highlights from last night’s (August 26, 2016) games. These are the only two posted so far. In a new ad released today, Kevin Durant, Lebron James, Russell Westbrook, Paul George, and Chris Paul pay tribute to the WNBA for its 20th Season. Durant and James have both been supporters of the WNBA and have attended several games during their careers. In the Ad, Westbrook says that “It’s truly amazing to be able to see the growth of women’s basketball.” George follows with “they have a huge collection of talent that they put on display night in and night out.” In the latest issue of Sports Illustrated, Draymond Green of the Golden State Warriors, who are on the verge of repeating as world champions, spoke with writer Lee Jenkins about his preference to watch WNBA games at home. “In the NBA there’s always a guy who is only around because he can jump,” Green told SI. “He doesn’t have a clue about the fundamentals. I learn more from the WNBA. They know how to dribble, how to pivot, how to use the shot fake.” It’s great to have support from NBA players, who are the best players in the world! Their respect of the women’s game only legitimizes and validates the amazing women that make up the WNBA. Here’s to 20 more years! 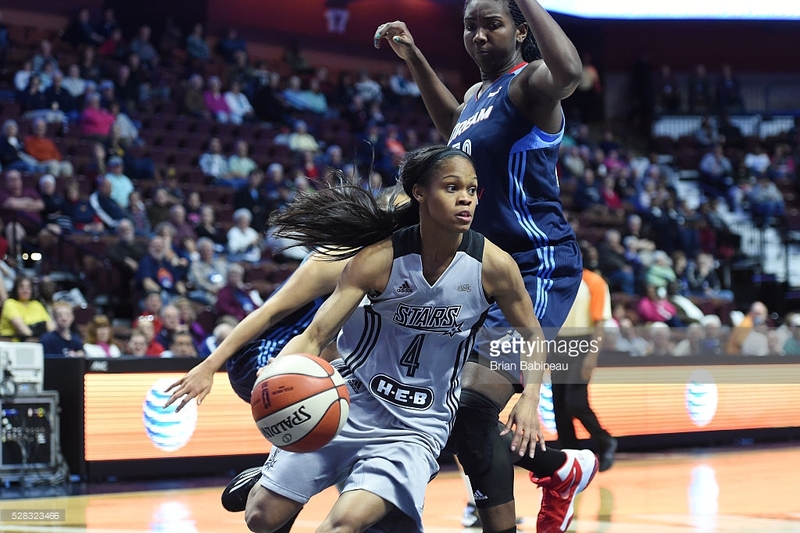 Affectionately called Mo, Moriah Jefferson is in her first season in the WNBA. Drafted second by the San Antonio Stars, Mo completed one of the most incredible college careers of all time. During her time at The University of Connecticut, Moriah won four National Championships, was named WBCA National Defensive Player of the Year, was a two-time Lieberman Award Winner, was named to the WBCA All-American Team, and the list goes on and on. To make a long story short, Moriah Jefferson is one heck of a player and one person that Moriah credits part of her success to is her late coach Coach Jackson, aka Coach Mudd, who she played for with he DFW Elite. Coach Mudd is the father of former WNBA player and breast cancer survivor Tiffany Jackson-Jones. Follow along as Moriah talks about her passion for basketball and art, what motivates her and why she works as hard as she does. Get to know Mo! Get an inside look of what life is like for the rookie. Gimme Some Mo: Art of Mudd from DJ on Vimeo. The USA basketball Women’s National team are holding a training camp in Storrs, Connecticut from February 21-23. A break in European leagues for the EuroBasket qualifiers gave players playing abroad the opportunity to to descend on the campus of the University of Connecticut to participate in the mini-camp. Those expected to be in attendance, who are all finalists for the 2016 U.S. Olympic Women’s Basketball Team are, Seimone Augustus (Minnesota Lynx), Sue Bird (Seattle Storm), Tamika Catchings(Indiana Fever), Elena Delle Donne (Chicago Sky), Stefanie Dolson (Washington Mystics), Brittney Griner (Phoenix Mercury), Jewell Loyd (Seattle Storm), Kayla McBride (San Antonio Stars), Angel McCoughtry (Atlanta Dream), Maya Moore (Minnesota Lynx), Nnemkadi Ogwumike (Los Angeles Sparks), Danielle Robinson (San Antonio Stars), Breanna Stewart (University of Connecticut), Diana Taurasi (Phoenix Mercury), Courtney Vandersloot (Chicago Sky) and Lindsay Whalen (Minnesota Lynx). Unfortunately there was more dirty play going on this week than actual playing in the Women’s Chinese League. 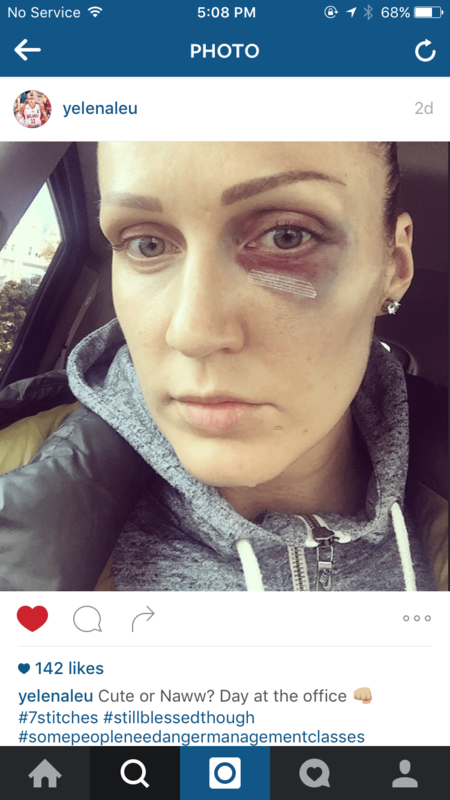 On two separate occasions Yelena Leuchanka was the victim of not one but two punches in two separate games! Elizabeth Cambage was the culprit in one of the games and was suspended for their next game. The other punch came from a Chinese player who was also suspended. Yelana seems to have taken the incident lightly despite suffering a black eye and requiring stitches as she posted a picture of her wounds on Instagram and referred to it as just another day at the office. Lets hope the league can clean up their play before someone gets seriously injured. Did you miss Nadezhda Orenburg take on UMMC Ekaterinburg in the last round of Euroleague? Here is your chance to watch two top Russian teams battle it out for first place in Group B. These two teams have been the most consistent in the competition and will definitely battle it out until the end. 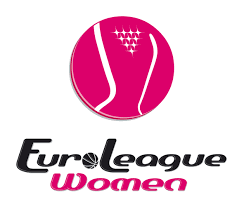 Watch Archived Euro League Games! Did you miss a euro league game live and wanted a chance to watch it? Well you can go to fiba’s youtube page and watch old games! Just click the link and choose a game. All games are not archived but there are many to choose from! Check it out here.